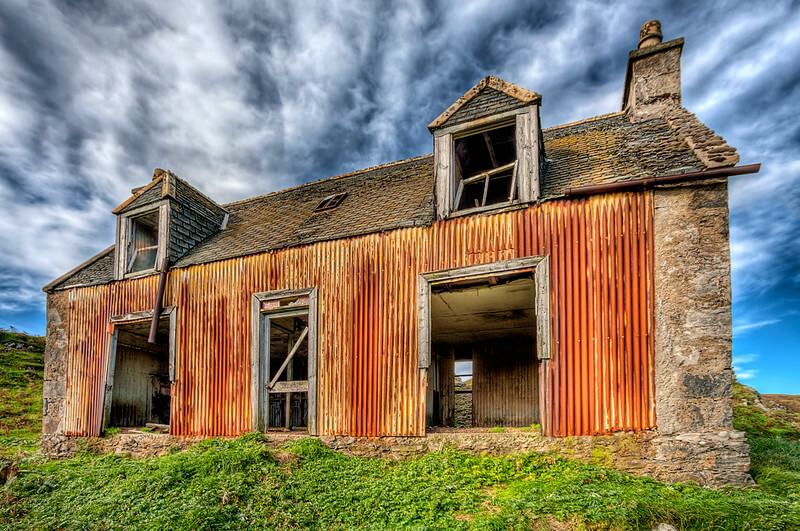 Abandoned buildings are one of those subjects polarise opinion. Either you love the textures, the feel and the history to be found in things that lie abandoned or you can't see the point. I just love seeing how something that was once cherished falls into elegant decay. Luckily living on a far flung island old abandoned houses live on for decades. On the mainland these would all be plundered and trashed within a few short months and end up as worthless, empty, vandalised shells with little or no interest for those who see the beauty in abandonment.